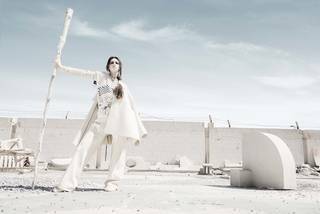 Work with fashion designer and Jameel Prize 5 finalist Hala Kaiksow in this special hands-on workshop for teachers. Recharge your creative batteries and join us for a glass of wine in this special hands-on workshop for teachers. Work with designer and Jameel Prize 5 finalist Hala Kaiksow to explore themes and ideas from her practice in fashion design. Open to Primary and Secondary teachers. Please provide your school email address when booking.